In the beginning the community centre was an elementary school for children from grade primary to six. Opened in 1968, the school was closed in 1999 when a new and more modern one was built just a short distance away. In 2002 Sackville residents voted to refurbish the building and give it a second life as a community centre. The centre opened its doors to new tenants in October 2004 and has been an increasingly important part of the community since then. Not only do we house an assortment of community based groups, we provide affordable rental space to the community of Sackville. We have an indoor gymnasium and boardroom that are available year-round for rent. There are permanent tenants, part time tenants and many different people who rent from our centre. We provide affordable space for two local senior groups who provide a wide array of services to our local elders. The Boys & Girls Club of Great Halifax-Sackville calls our second floor home and have a number of programs to keep local children active all times of the year. The Sackville-Bedford site of the Nova Scotia Early Childhood Development Intervention Services works to support families of young children with developmental delays. The Sackville Rivers Association is another group who work to preserve Sackville's environment for future generations. We are also proud to house a number of other organizations including the Sackville Community Band, Alcoholics Anonymous, Toastmasters and Special Olympics Active Start Program. 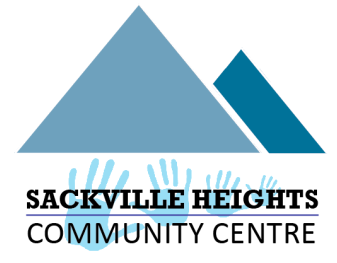 -"To provide facilities and programs within the properties of the Sackville Heights Community Centre which enhance the health, culture, wellness, and spirit of the members of the Community of Sackville, Nova Scotia."